• Transportation of short broken metals having sand small pieces from machine tools. 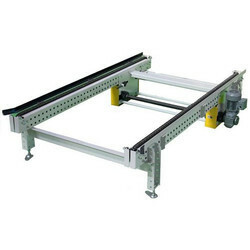 Widely demanded in mechanical industry, this Industrial Slat Conveyor is offered in the market in many specifications. 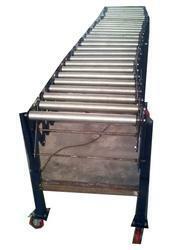 These industrial conveyors are finely finished with the use of latest technology based machines. These conveyers are superior in working and very easy to install. We charge nominal price for these conveyors. Our client can avail from us an excessive array of Apron Conveyor Chains that are perfectly resistant to temperature fluctuations and resistant corrosion. These conveyors are widely demanded in material handling industries owing to their high efficiency, superior quality and durability. We offer both standard and customized forms of conveyors to meet the specifications of our clients.